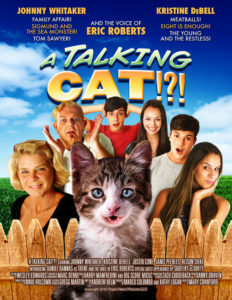 Eric Roberts (literally) phones in a performance as a talking cat named Duffy in A Talking Cat!?! Skinemax-level acting without any payoff, dreadful special effects and no reason to exist that isn’t money laundering, A Talking Cat!?! is a family film for the profoundly brain damaged.